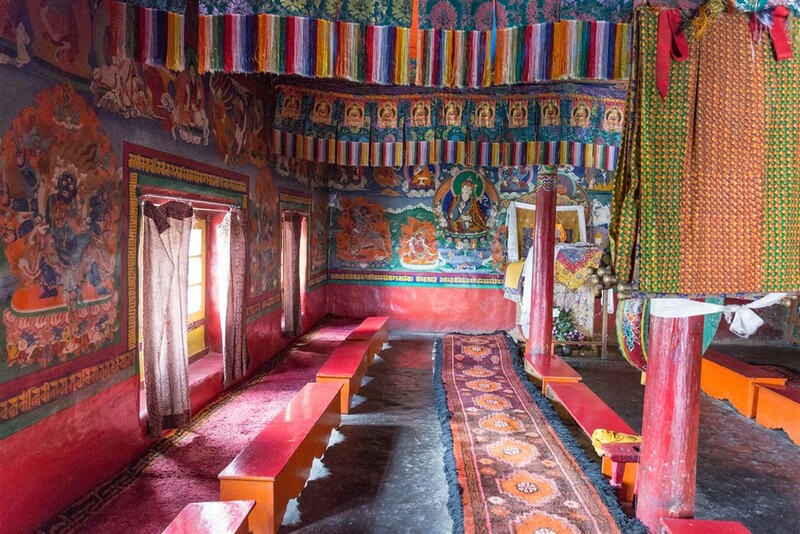 Thag-Thok (also spelled Tak Tok, or Thak Thok) is a relatively small monastery just beyond Saki, about 50km east of Leh. 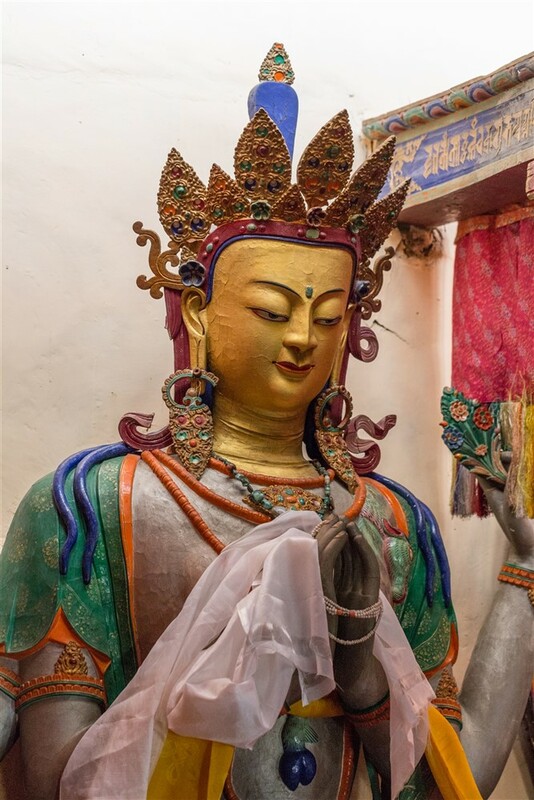 Visiting it could be combined with a trip to Hemis Gompa, but if you are planning to have an excursion to Pangong Tso this is an ideal early stop just before you start the ascent up Chang La pass. 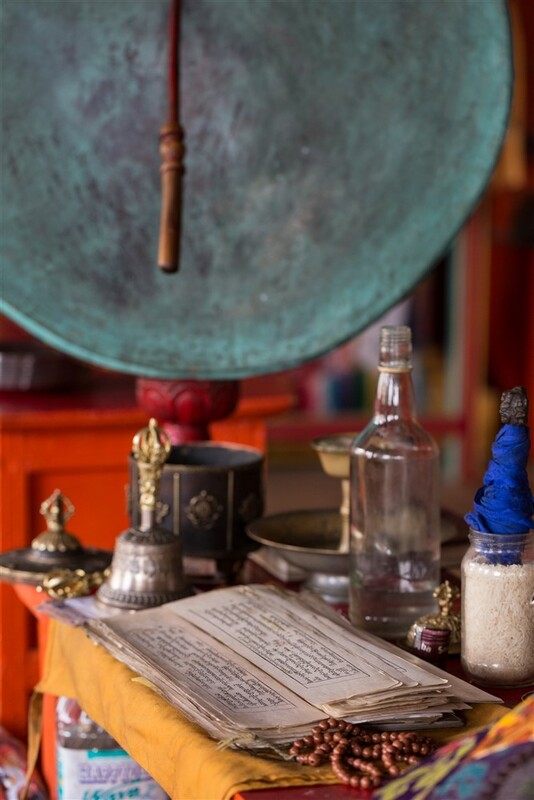 Visiting the gompa will take no more than an hour. 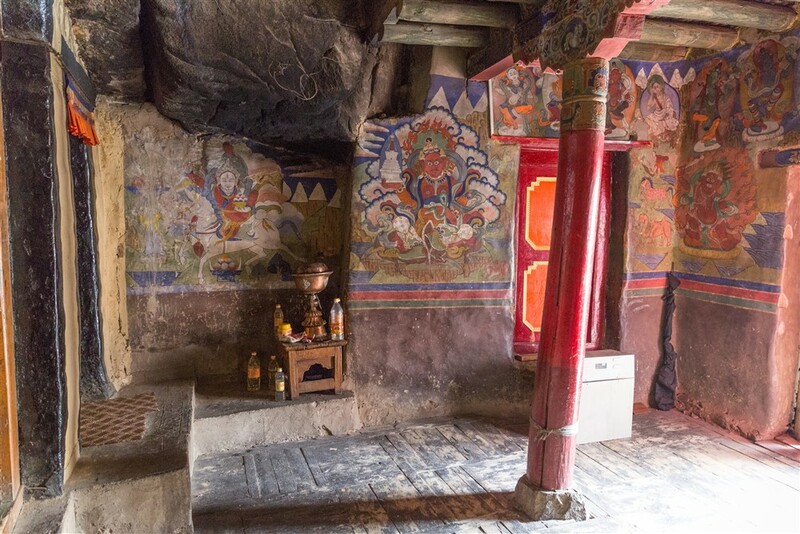 Much of the Tak Tok monastery was only constructed 100 years ago, but it has grown out of a cave hermitage where Padmasambhava (Guru Rimpoche) is believed to have once meditated. 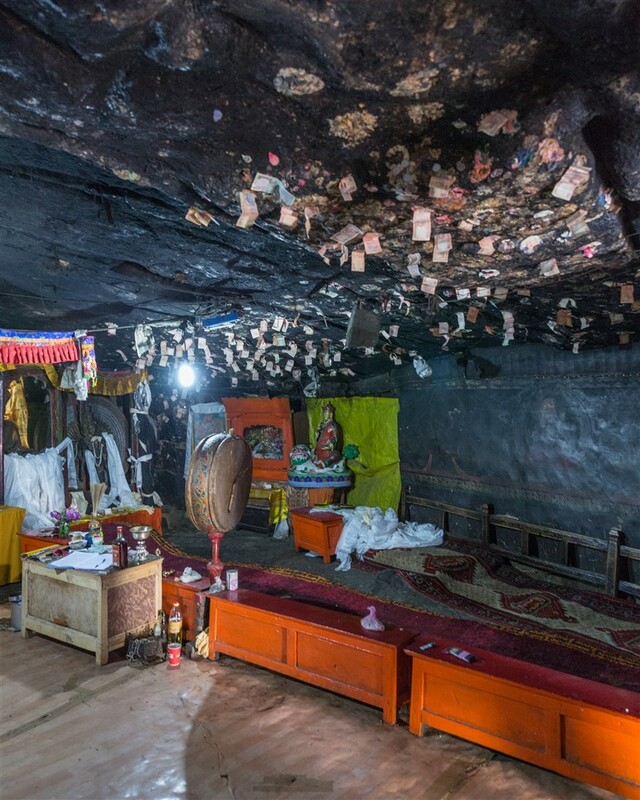 In fact it’s name means “rock roof”, obviously a reference to this shrine in the dark cavern. 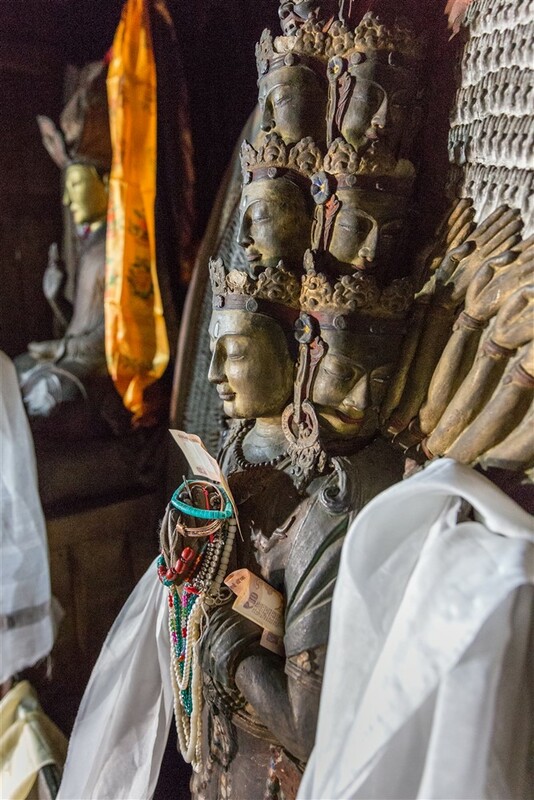 The Tu-phug (cave) itself resides on the first floor level with steps leading up to it. 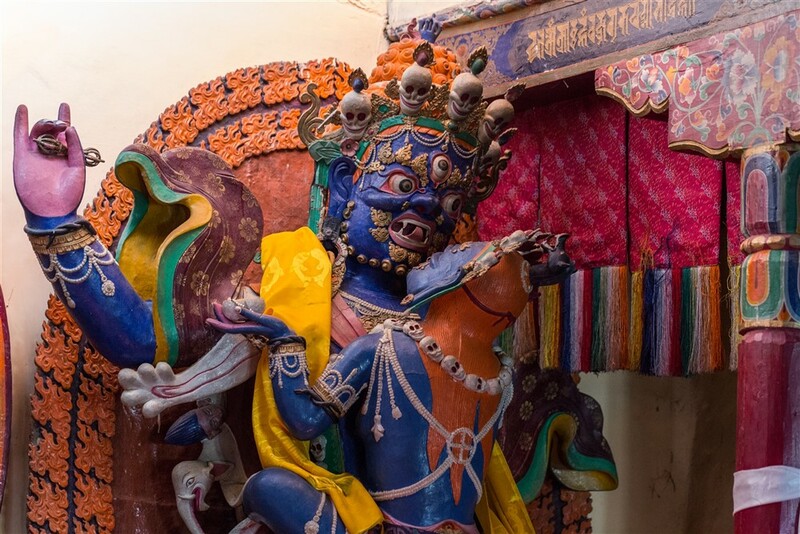 At the top of the steps, the entrance portico is painted with fierce guardian deities. 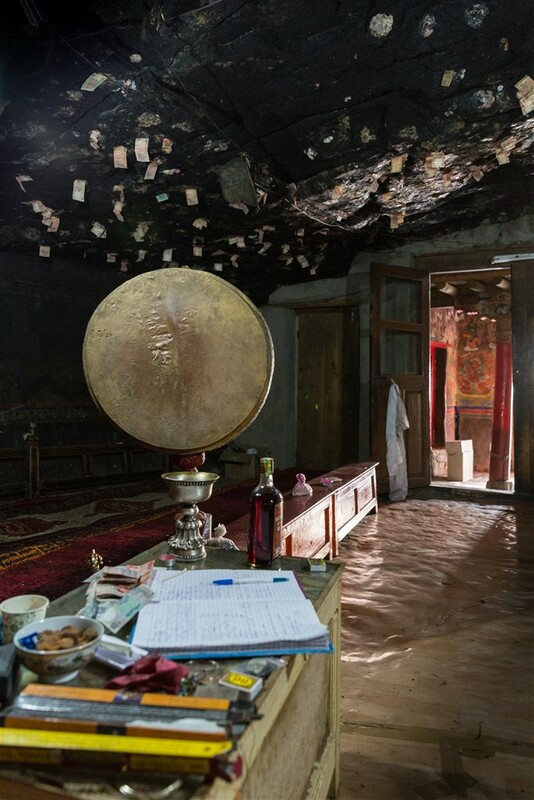 Beyond the entrance is the grotto, a dark and humid space with water dripping from the roof. 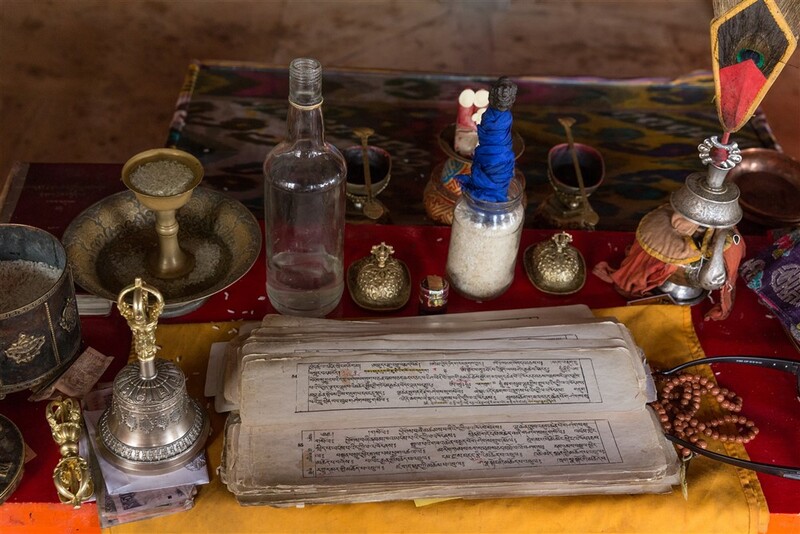 The leaking water is believed to be sacred. 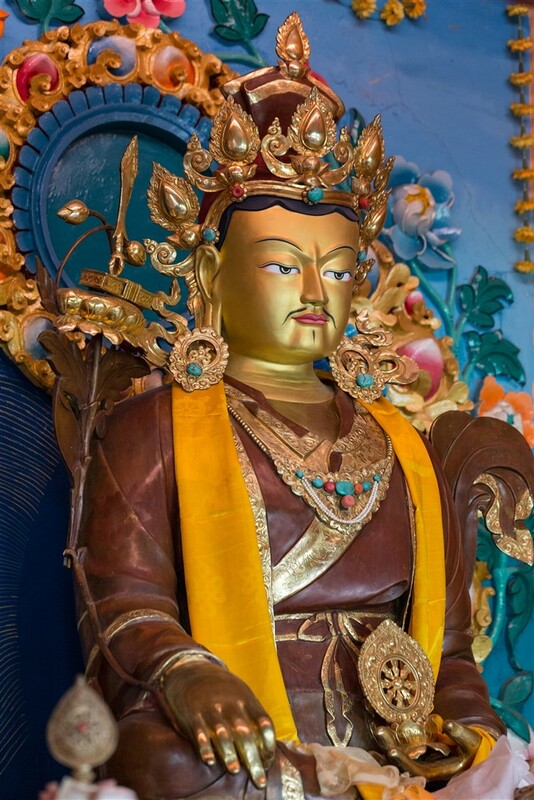 Gilded images of the eight manifestations of Guru Rimpoche (collectively called Guru Tsang Sangyet) sit behind glass cases, with a statue of Padmasambhava in the middle, and Avalokiteswara on the far right. 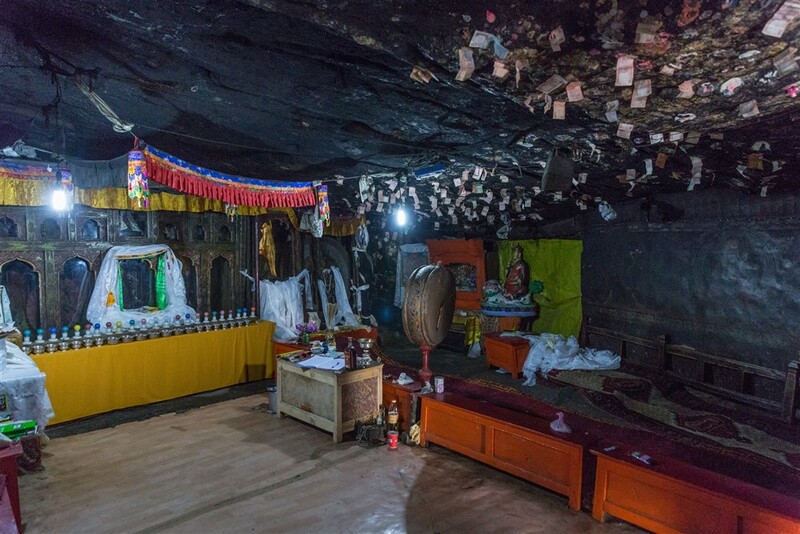 Tibetan born Padma Thinlas and Ladakh born Kung Phontsog, two lamas that greatly contributed to the rise of the monastery, are memorialised in the cave. 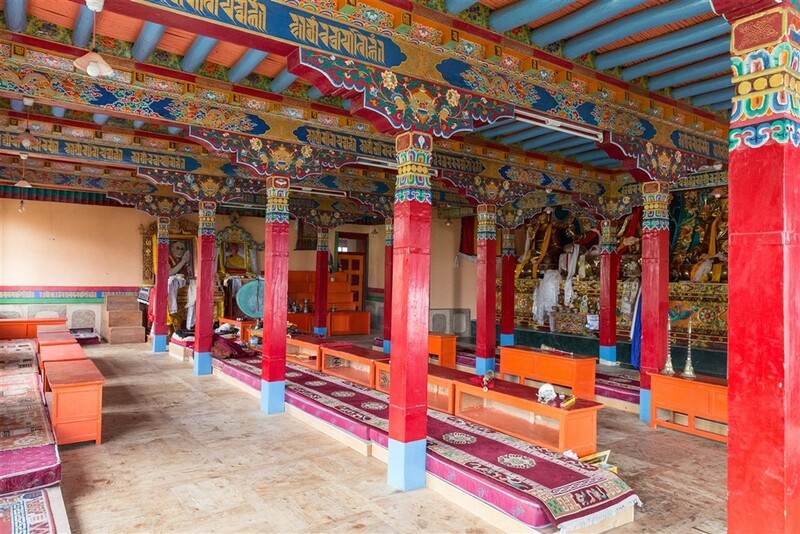 It a hugely atmospheric setting, quite different from any other gompa I’ve visited. 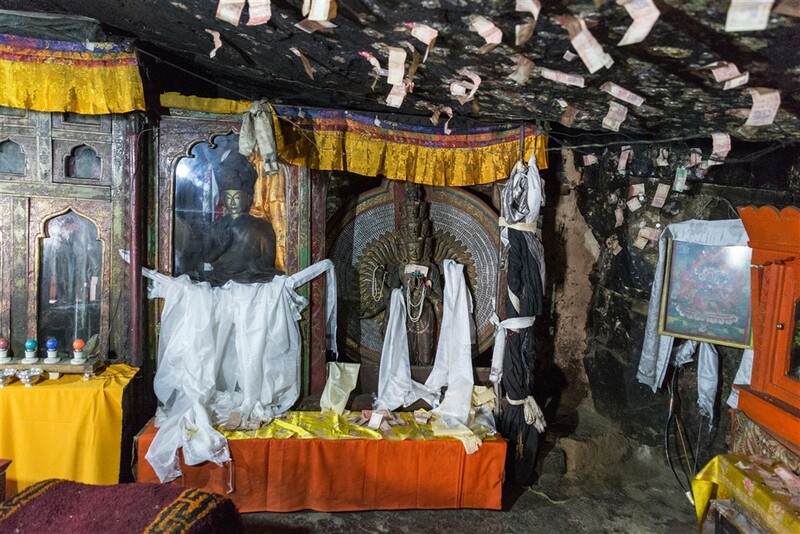 Rupee note offerings are pinned right across the ceiling, with paintings on the walls of the cave that are now barely distinguishable having been so blackened by soot from butter lamps over the centuries. 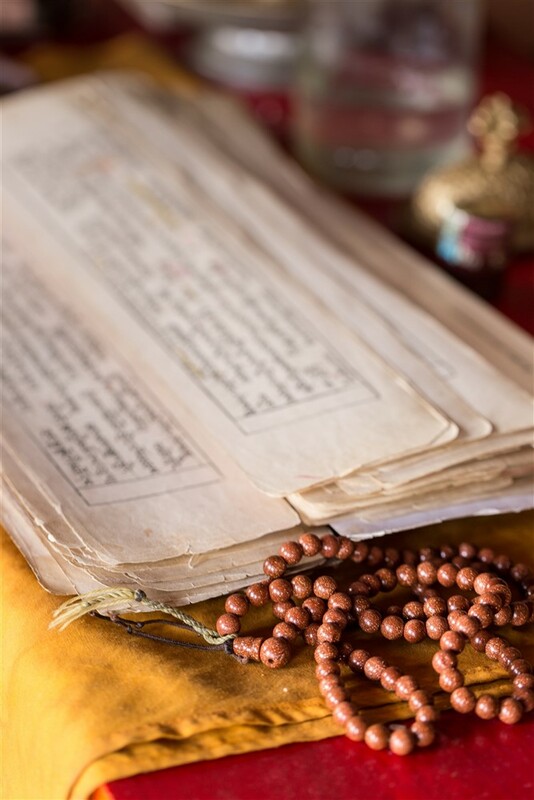 Make sure you spend a little time here, it takes a little while for your eyes to adjust to the lack of light in the cave. 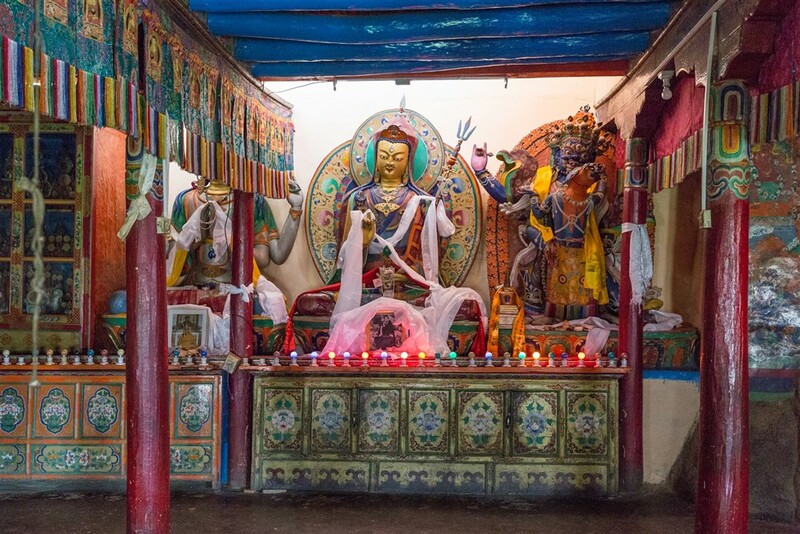 The next temple, Urgyan Photang, offers a complete contrast to Tu-phug. 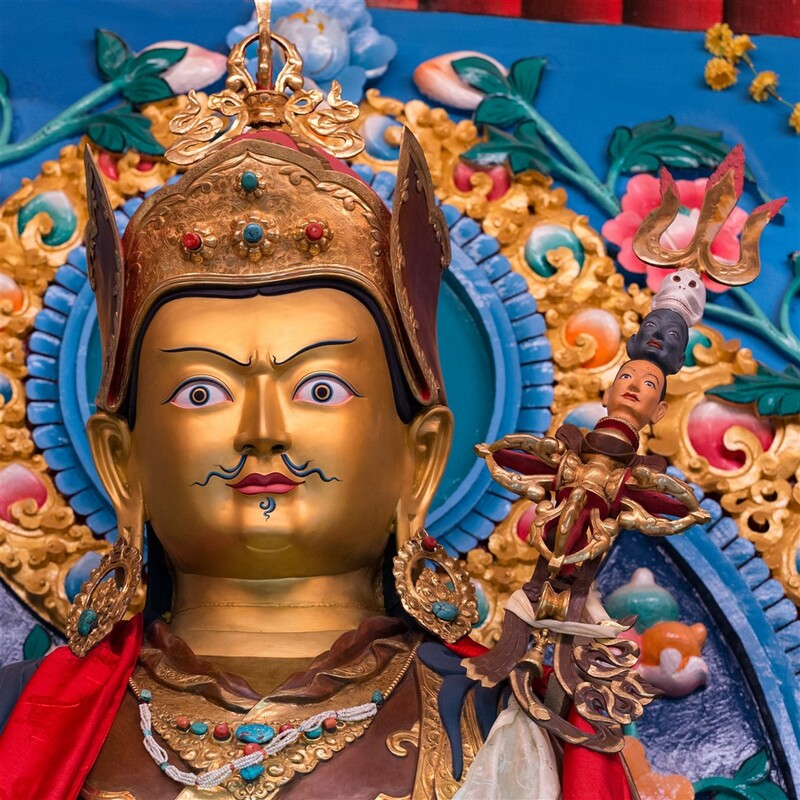 The name means “Divine House of Padmasambhava”, and here we are right back on familiar ground. 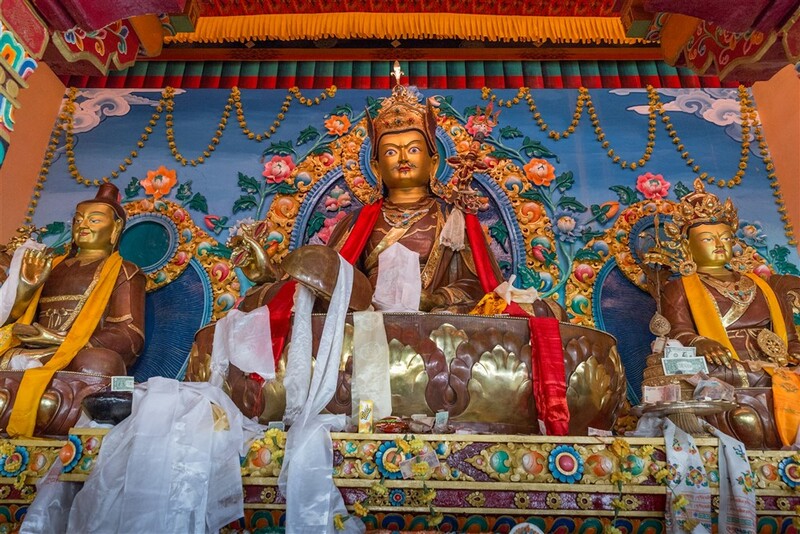 A large statue of Padmasambhava dominates the alter space, together with Avolokiteswara and Guru Dagpotsal. 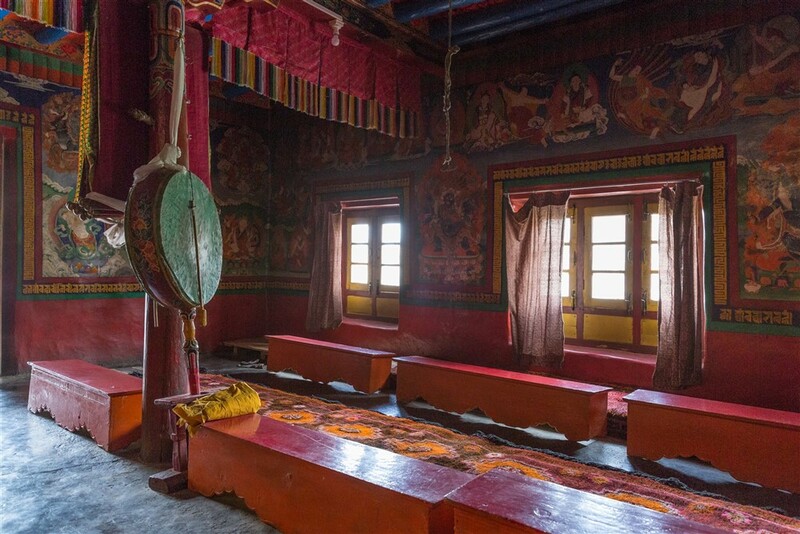 The paintings on the walls hark back to a time when Buddhism first spread across Tibet in the 8th century, during the reign of Trisong Detsen. 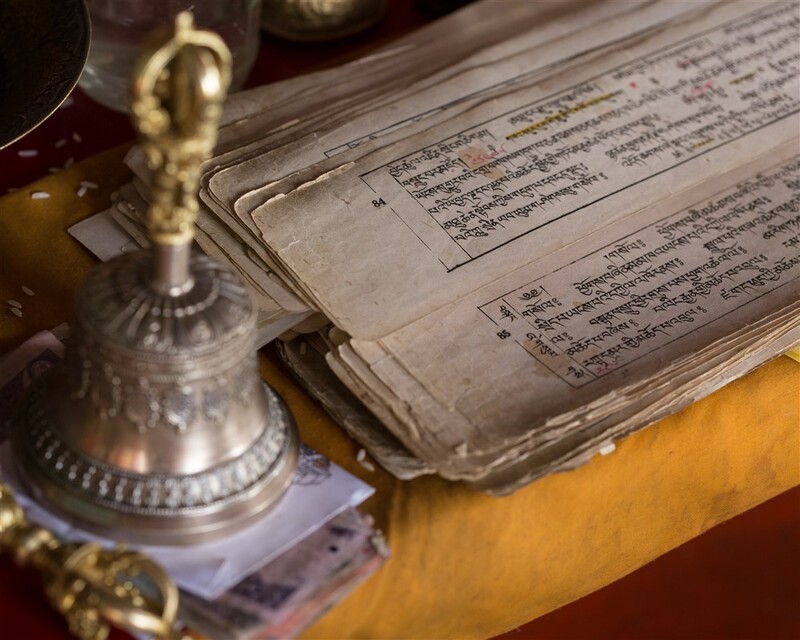 A composition called Je-bhang Nyerna depicts Trisong Detsen with his 24 most illustrious subjects, all of whom are believed to have attained enlightenment during their own lifetime. 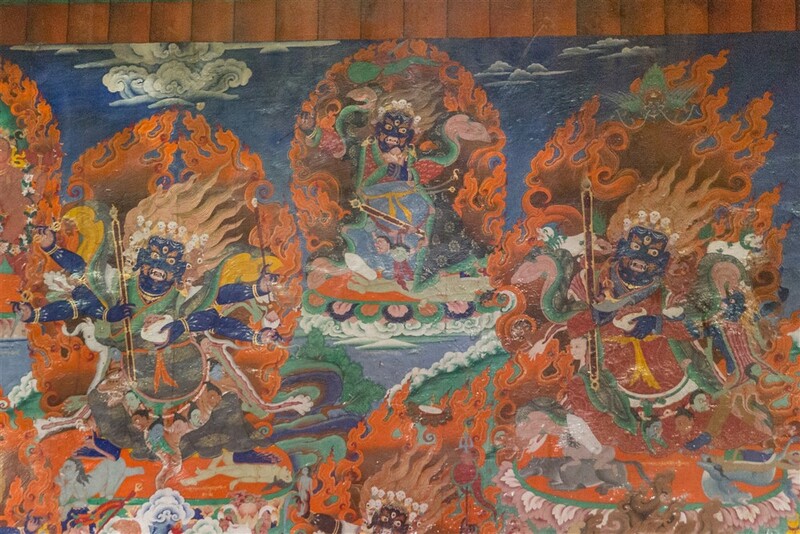 Further paintings honour the reformist sects that sprung up during the 10th century, in addition to the more usual fierce deities on the entrance wall. 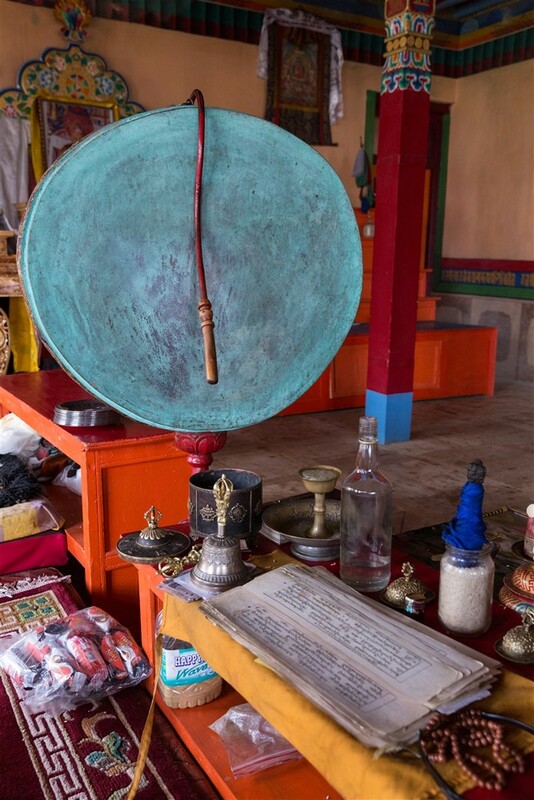 Marme Lhakhang is Tak Tok’s newest temple. 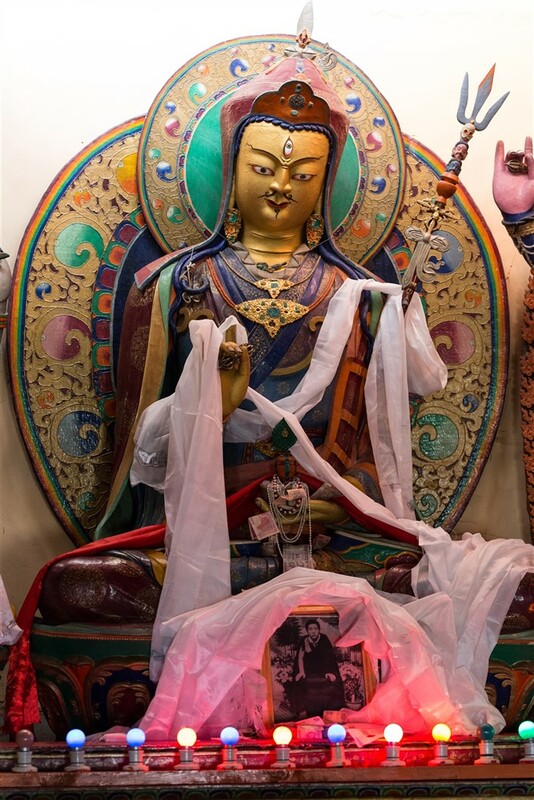 A large chamber on the lowest level with again images of Padmasambhava in various manifestations. 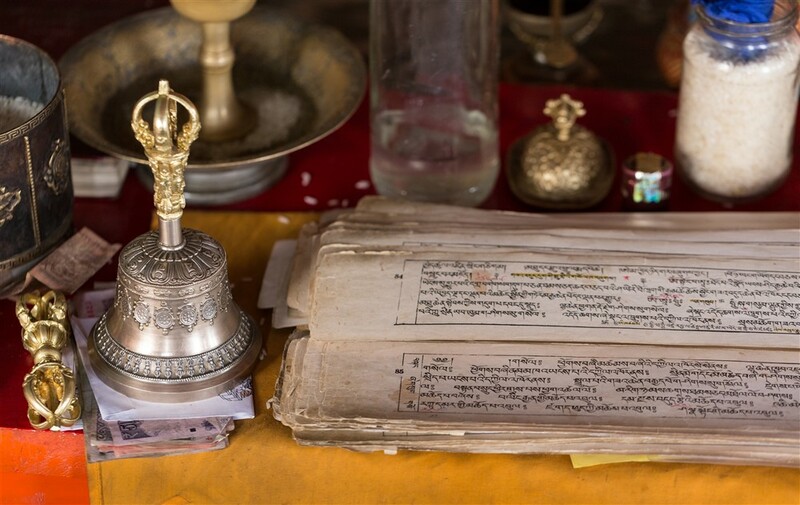 The main image in the middle is Guru Nang Srith Zilon, to the right is Dorje Drolo (the guru’s wrathful manifestation), and to the left Padma Gyalpo (the guru as a king). 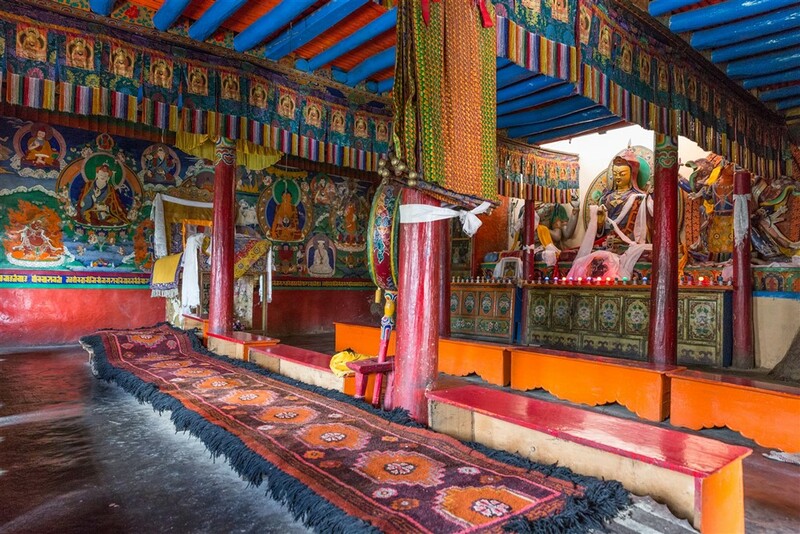 Compared to the other two temples it’s perhaps slightly less interesting, but still worth seeing whilst you’re visiting the monastery. 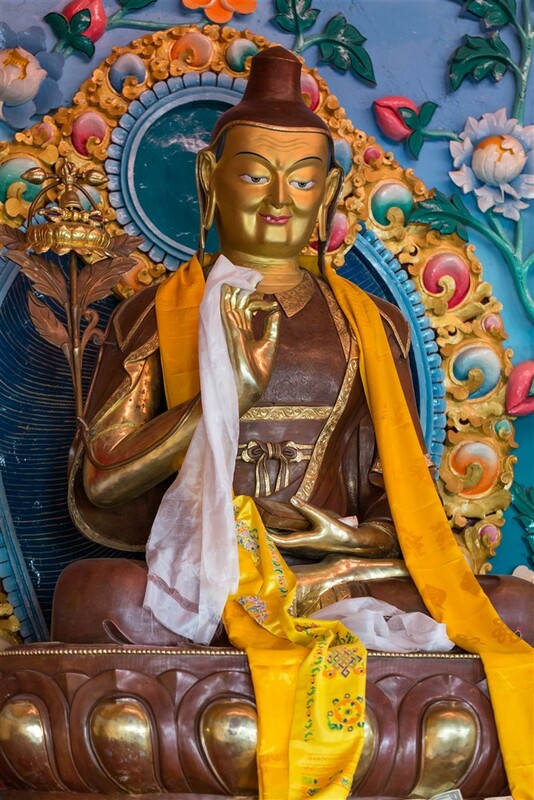 I don’t think Tak Tok gompa receives many visitors, but if you’re heading to Pangong Tso from Leh you will be passing right by it, so have a short break and do some exploring !